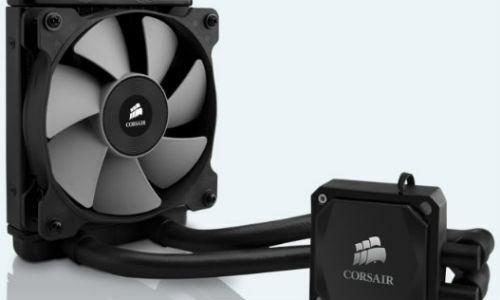 Corsair, a popular supplier of hardware to PC gaming industry has announced the launch of two new Hydro cooler series models - Hydro Series H60 and New Hydro Series H55 Liquid CPU Coolers. H60 is an updated model of their H50 model, where as the H55 is a brand new model being introduced to the market. The updated H60 model is designed around 4th generation cold plate technology, which is leveraged to further improve the performance of the cooler and to make it quiet too reducing the nose levels. In addition to this cold plate design, the new H60 model will also have tubing with a larger diameter. It helps to increase the coolant flow thus helping to have more cooling effect for the given power. It is has a composite rubber tubing, that could help installation much easier, but at the same time have evaporation rates lower as it was there in H50 model. The Hydro Series H60 features a magnetic mounting bracket too. The other highlight of this updated H60 cooler is a 120mm award-winning Air Series SP120 fan. Hydro Series H55 is a new cooler model that is designed to provide more cooling efficiency when compared to a basic CPU air cooler. New generation cold plate design, 120 mm fan operating at low noise level, tool-free mounting bracket and easy to install rubber tubing are some of the salient features of this model. Hydro Series H55 and Hydro Series H60 can work with computer cases having a rear 120mm fan mount.